The most essential effects shampoo has on hair are cleansing and drying. Regardless of any additional properties, a product must clean the hair to be considered shampoo. To clean the hair, a shampoo must also strip away oil, which leaves hair dry. This is why conditioner was invented. People needed something to replace the moisture their shampoo stripped away. The remaining effects a shampoo has on your hair depend entirely on the type of shampoo you’re using. Strands of hair are covered with a natural oil, called sebum, that is secreted from the scalp to help keep hair healthy and protected. This oil gradually attracts and captures dirt, making your hair limp and filthy. To clean the hair, you need to use something that removes the grimy oil. Shampoo contains sulfates that surround the dirty oil and lifts it away. When the shampoo is rinsed with water, it carries away the oil and leaves hair clean. Shampoo has to remove the oil from a strand of hair to also remove the dirt. This leaves the strand stripped of natural oil and vulnerable. In addition to this basic drying effect, most people use warm or hot water when shampooing their hair. This warmth opens up hair cuticles, which creates dull and rough strands. It also means more of the hair is vulnerable to oil-loss, allowing the shampoo to dry the strand inside and out. Although all shampoos will dry your hair, only quality shampoos will put some moisture back in your tresses. 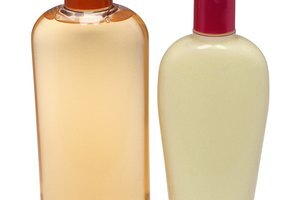 These shampoos use emollients and/or humectants to help replace the stripped sebum. Emollients are oily substances that slick over the surface of each strand to help moisturize and protect it. Humectants are water-retaining substances that slick over each strand to help draw and retain water in, keeping your hair moisturized. Shampoos that claim to be tangle-free or volumizing are basically creating a separation effect. Tangle-free shampoos cover your hair with a slick surface to reduce friction and help keep strands from tangling together. Volumizing shampoo covers your hair in a light film that keeps each strand separate to increase body. 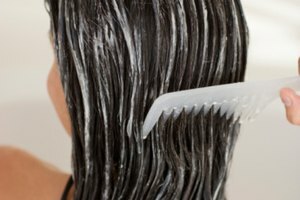 While many shampoos may claim to repair damaged hair, they can only provide a temporary fix. Once a strand of hair weakens and splits, it cannot grow back together again. 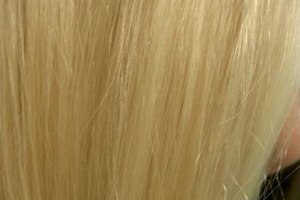 Some products contain polymers that help temporarily glue the strand together, and others fortify your hair, temporarily strengthening weak spots to prevent further damage. However, most just slick the hair with emollients to make the damage less obvious.